Why is the mechanism of injury important? The pelvis is a complex area of the body with multiple muscles coursing to and from the bone peter kolchin. The action leading to a sports hernia injury can give important clues to a physician experienced in managing groin pain in athletes. As discussed in the anatomy section, a sports hernia occurs during a torquing or twisting of the pelvis. Any athletic maneuver that involves torquing of the pelvis can lead to a sports hernia. Striking a soccer ball or hockey puck are common actions that lead to a sports hernia. Why does this action lead to a sports hernia? 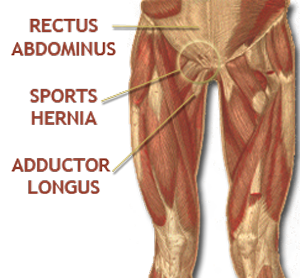 The muscles inserting on the pubic bone from above include the rectus abdominus and oblique muscles as well as the adductor longus from below. These muscles pull and rotate in opposite directions. Too often, core muscles are relatively weaker than leg muscles. This imbalance — while usually tolerated well — can lead to disruption at the pubic tubercle and resulting groin pain. Understanding the mechanism of groin injury allows the physician to direct the physical exam, x-ray studies and — ultimately — appropriate treatment plan. After a long discussion regarding the events and mechanism leading up to the injury, a thorough physical exam focused on the low abdomen, pubis and lower extremities is conducted. The physical exam consists of a stagnant and dynamic component. The inguinal canal and low abdominal muscles are palpated to rule out a true hernia and find the epicenter of the groin pain. The most common finding is point tenderness at the insertion of the conjoined tendon at the pubic tubercle. In addition, tenderness may be found along the inguinal ligament, floor of the inguinal canal and at the external ring. Palpation at the insertion of the adductor longus may elicit discomfort as well. 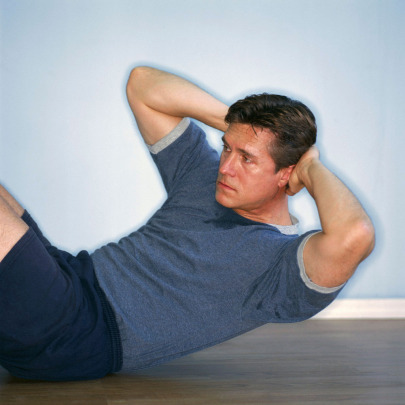 The dynamic portion of the exam includes resisted and nonresisted in-line and oblique sit-ups. Also, active adduction — or squeezing together — of the lower extremities is important. The dynamic portion of the exam is important because most athletes feel well at rest but have reproduction of groin pain with activity. If the mechanism of injury and a complete physical exam confirms the presence of a sports hernia, then often no further testing is required. If there are any findings that suggest a sports injury other than athletic pubalgia, then x-ray studies may be ordered. Groin pain in athletes can have many causes. The medical community refers to this as the differential diagnosis. Groin pain can include, but is not limited to: ligament and muscle strain, stress fracture, avulsion fracture, bursitis, hip pathology, nerve entrapment, osteitis pubis, true inguinal hernia and sports hernia. 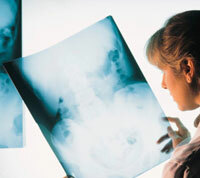 Plain films are the most common and cheapest x-ray study. These are helpful with bone pathology but do little to assess the soft tissue i.e. muscles and tendons. Ultrasound, CT scan and MRI are used to assess soft tissue. Of these three, the MRI is most helpful. The MRI is excellent for evaluating ligament and muscle strains vs. tear, avulsion vs. stress fracture, hip pathology and osteitis pubis. In sports hernia, the most common MRI finding is that of a normal study. Thus, the MRI is best at ruling out other causes of groin pain not related to sports hernia. Once a diagnosis of sports hernia has been confirmed by an experienced physician treating groin pain then treatment is initiated.